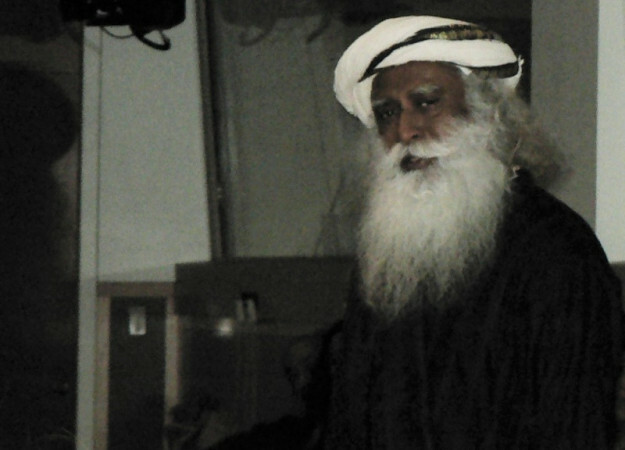 United Nations, March 22: With a dire warning about the looming future of a waterless world, Sadhguru Jaggi Vasudev has made a plea for mobilising humanity to save the rivers of India and the world before it is too late. Rivers in India have been depleted by 60 percent and around the world by 35 percent, he said Wednesday at a special event here on "Water, Sanitation and Women's Empowerment". Efforts to save India's water supply have to focus on the rivers and the agriculture that depends on them, he said. Along with increasing trees and vegetation to save rivers, he called for reimagining the irrigation systems by setting up organisations that bring together farmers and the corporate sector for efficient management. The Rally for Rivers, a national movement Sadhguru has launched with the backing of his Isha Foundation, advocates planting of trees for a width of 1 km on either side of rivers because they can help conserve water while increasing rainfall, he said. To mark the International Day of Forests and to commemorate the occasion, the UN Security Council presided by The Netherlands held a symbolic Tree Planting Ceremony with Secretary-General Antonio Guterres on Wednesday. "Trees and forests play an essential role in mitigating the impact of climate change," Guterres said during the event held indoors due to a raging snowstorm in the city. Echoing Sadhguru, he said: "They also help to filter and regulate water, preventing flooding and protecting watersheds." Sadhguru said that saving rivers and conserving waters should involve all of humanity and everyone should be made to realise their stakes in it because otherwise it will be seen as nothing more than a protest by a few "ecologists". Women were central in the efforts to save rivers as they were the natural conservationists. Lack of adequate water supply hit women the hardest, he said. About 800 million women around the world spend six hours a day fetching water, he said, adding jokingly that men, meanwhile, spend that time drinking arrack (distilled alcoholic drink), which would also soon disappear if water became unavailable. Water availability is a factor for the functioning of toilets that women need, which is seen as a national priority, Sadhguru said. If agriculture continues to wither because of water shortage, impoverished farmers would crowd into cities on an unprecedented scale, leading to a civil strife, he warned. With agriculture consuming 80 percent of India's water, Sadhguru said, conservation and efficient use of water was important for that sector. He noted that one of the main reasons for the suicide of farmers is their inability to pay back loans that they take to bore wells, even as the water tables drop drastically. He welcomed the "International Decade for Action: Water for Sustainable Development 2018-2028" which will be launched on Thursday. Sadhguru said that if the world acted now, the rivers could be brought back by 25 percent in 15 to 25 years. But if it waited another 10 years to act, it would be too late as it would take 150 years recover 25 percent of the water.